Jerusalem Deputy Mayor Dov Kalmanovich has called to remove a convicted terrorist from list of '50 faces of Jerusalem' at Citadel Museum. 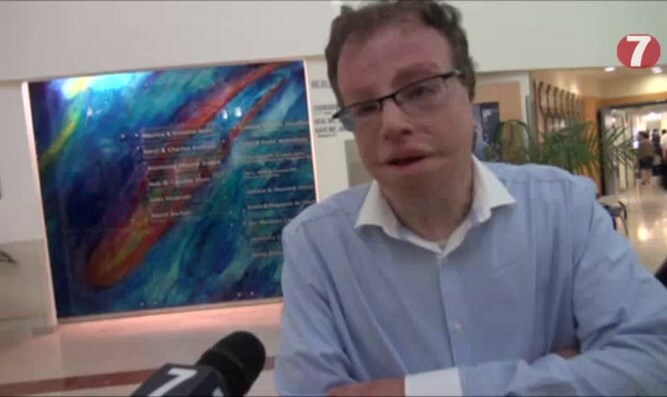 Jerusalem's deputy mayor Dov Kalmanovich responded to the revelation by Arutz Sheva that one of the 50 people representing Jerusalem in the "50 years-50 faces" is a former terrorist who attempted to attack Jews. Kalmanovich, himself a survivor of a terror attack, said that "the Tower of David is the most famous symbol of Jerusalem. Turning it into a political clarion is unacceptable for us as residents of Jerusalem and as members of the municipality." Kalmanovich added that "the management of the Tower of David Museum [Citadel Museum] are suffering from a well-known psychological condition in which the victime identifies with the attacker. This is lunacy and I call on the museum to remove this scourge from Jerusalem." 50 people have been chosen to represent the Citadel Museum's "50 years- 50 faces" project. Among those receiving honored status on the site is the terrorist Ali Jadda, a member of the Popular Front for the Liberation of Palestine (PFLP) who participated in an attack on Jews and sat in jail until he was released in the 1985 "Jibril Deal." The project, which appears on the internet site of the Museum for Jerusalem's History, tells of Jadda's youth and of his feelings in the wake of the liberation of the the Old City where he resided. Jadda was one of the perpetrators of the "night of grenades" in 1968 and he and his friends threw grenades at innocent passersby on Strauss street in Jerusalem. He was caught and sentenced to 20 years in jail of which he served 17 before he was released in the 1985 deal freeing terrorists in return for Israeli captives, known as the "Jibril Deal."